COZY PLACE TO GET STARTED!! 2 Bedroom, 1 Bath Home with full basement. 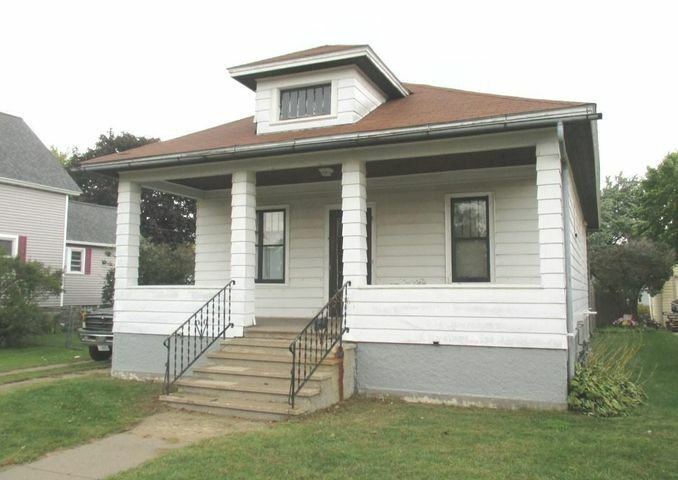 Large Covered front porch, fenced yard, and 1 car detached garage. Directions: From Marinette Ave & Cleveland Ave, E on Cleveland Ave to 10th St, N on 10th St to Gladstone, E on Gladstone to sign.